My closet is full of unnecessary items. These items serve "no purpose" and are "unrequired" in my current everyday life. So why are they there? Is it as hard for you to let go of things as it is for me? These items USED to hold value. I HAD to have them. Some items were gifts, some inherited but mostly, these items were bought by me. They seem to hold an "essence". Some part of me THINKS there is some kind of residual value in these unnecessary items. The larger part of me realizes that it is all just "stuff" that is taking up space that could be organized and pleasant to the eye. There was an organizer many years ago that suggested taking a picture of these items (since this takes up less space) and then donating or selling the item. You can take the picture out and look at it and perhaps, experience some of the same feelings as if you actually had the item. I've thought of doing that. 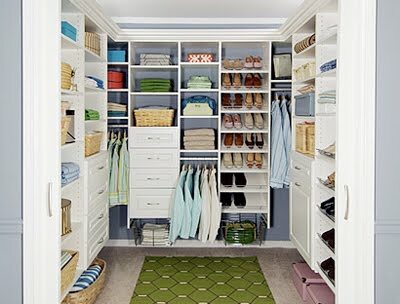 A garage sale sounds really nice because I could make a little money to redecorate my closet. But what do you do with the leftovers? We are lucky enough to have several non-profit groups in our area plus a FreeCycle group that would happily come and get what's left over. All of that takes time, organization, haggling over prices... but I think it's what I'm going to do. 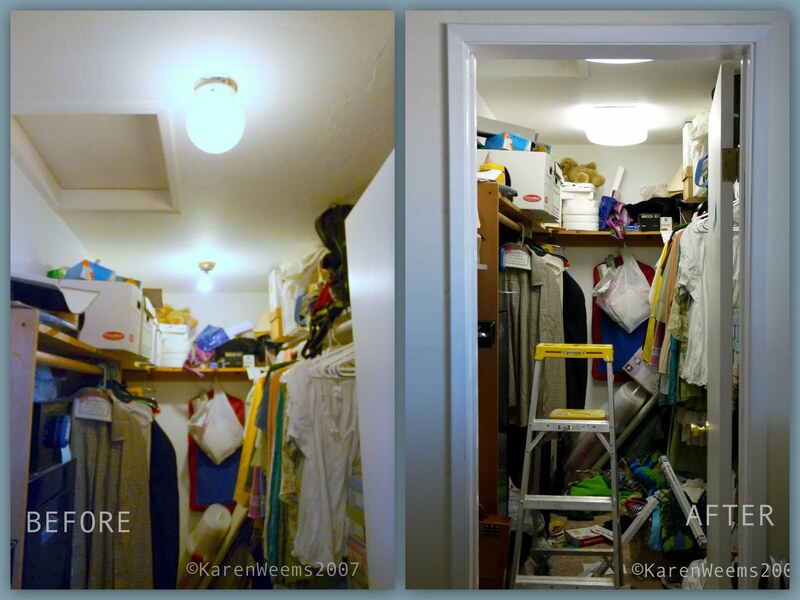 Yesterday we went to Lowe's and picked out some brand new closet lighting and last night my husband put it in! Did I mention that my old lights were incandescent, small and didn't match at all??!! These look absolutely BEAUTIFUL up. It's quite a bit more light and a more true color light as well. Yes, it lets me see ALL the mess better and gets me excited about the work I'm doing to clear my clutter.